It is said that Gyoki, a Buddhist priest, found Yamanaka hot spring more than 1300 years ago. Gyoki, Shinren, Rennyo, and Basho are hailed as the four "saints" who built these foundations at Yamanaka. 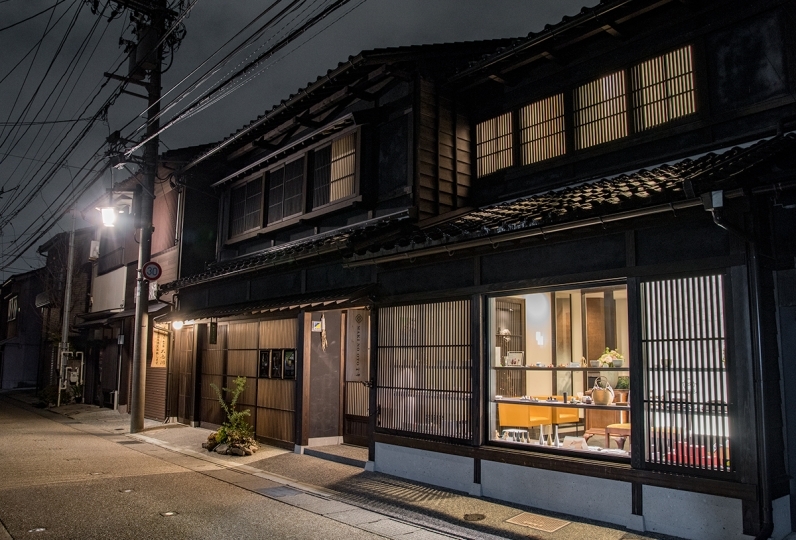 Hanamurasaki protects the traditions of this historical land while continuing to innovate. 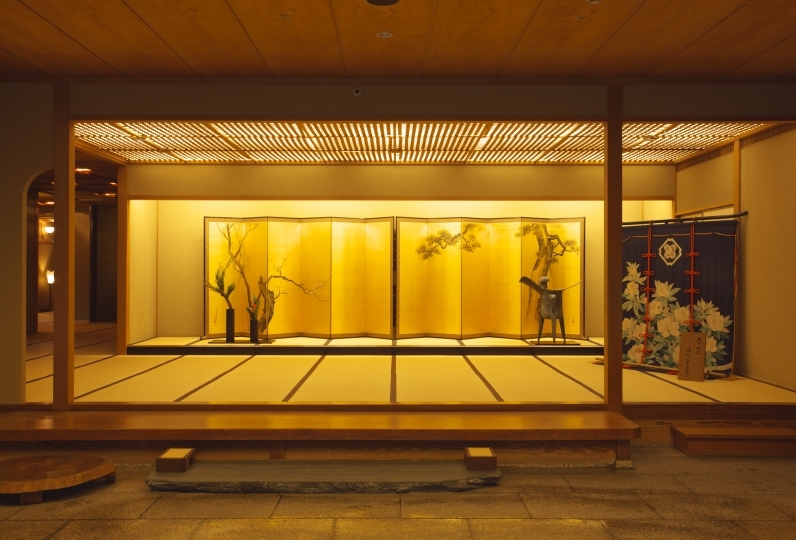 The space is peaceful and built in the sukiya style of architecture. 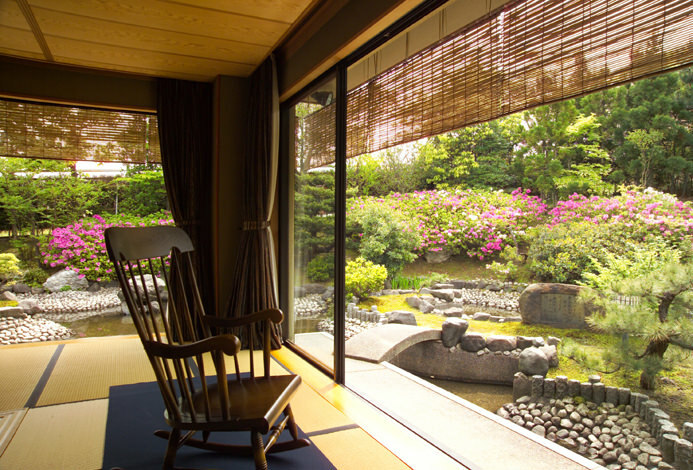 Every room has a view of Kakusenkei, which boasts the only canyon in the Hokuriku region. The gentle waters, of which even Basho approved, never ceases to charm visitors. 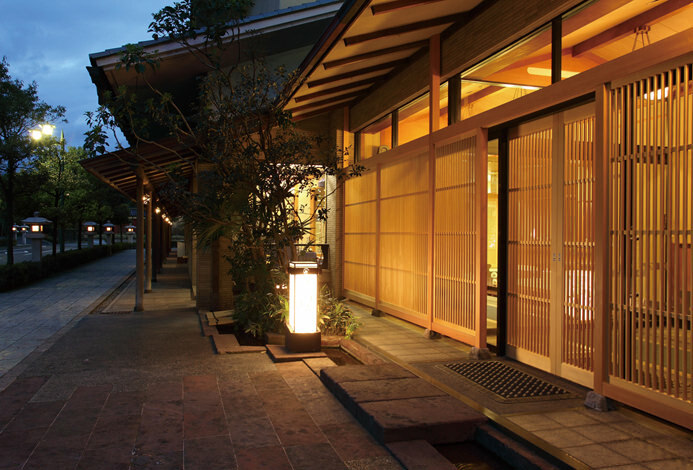 The dining is designed by a famous traditional Japanese paper designer. The food that you enjoy here overflows with the welcome of our hearts. From pre-determined kaiseki dishes to an a la carte kaiseki, you are free to choose. We offer you a new free experience unlike any you may have experienced before. Hanamurasaki continues to create new designs through the mingling of tradition and innovation. How would you like to experience the hospitality that continues to fascinate guests? I am indebted during this time. This is the second time I was satisfied. I could not eat breakfast because of my physical condition I was sorry, but I would like to use it again next time. I appreciate your kindness at this time. Nice room, very good food, nice looking food, comfortable bath, all the employees feel good, everyone was a very satisfied inn. It was a pleasant trip. Thank you very much. This time, my eldest son to find a job this spring asked me to leave the house and to be part of a farewell as well. The setting by the designer of Japanese paper in dining was very beautiful, and the space not too closed was kept in good private, very cozy. A la carte Kaiseki where you can choose your favorite things I think that there is also a fun to choose and the device has been devised. All the dishes were delicious, and the dishes and dishes were enjoyed by the eyes. I think that the correspondence of the staff and the careful attention were also very good. It was my first trip to a night with my son for over 10 years, so it was a good memory. It was only disappointing that I could not get along with my second son just because I was a very nice hotel, and I couldn't get along with my family. Thank you a lot for your hospitality. 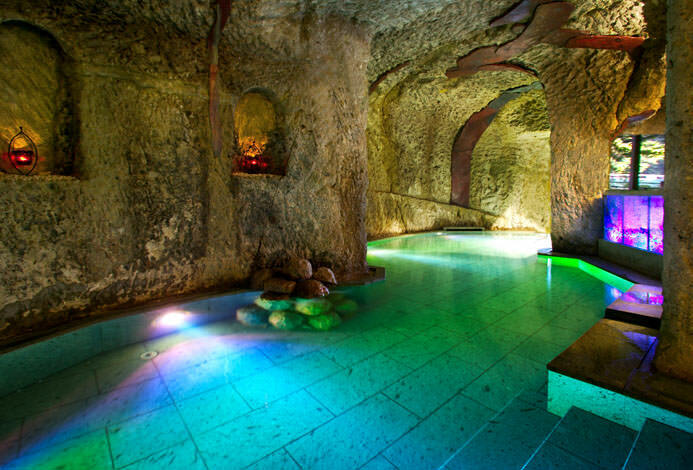 This is an open-air bath with a view of the canyons of Kakusenkei spread out before your eyes. We also have a public bath. You may enjoy Japanese confection "sho" in the Japanese lounge. -We offer rooms with few steps for handicapped guests. Pets cannot enter the hotel but there is a facility for pets nearby so please inquire ahead of time. Please refrain from accompanying with children under the age of 10 with this plan. We apologize in advance but guests accompanying children under the age of 10 will have meals served in their room. If you require this please contact the Relux concierge. *Cost for children in upper elementary school: 70% of cost for adults. We offer a free shuttle service from JR Kaga Onsen Station. Please contact us at least 1 day in advance to let us know by which train you will be arriving and the time of your arrival. It is approx. 30min from Komatsu Airport to Hanamurasaki.